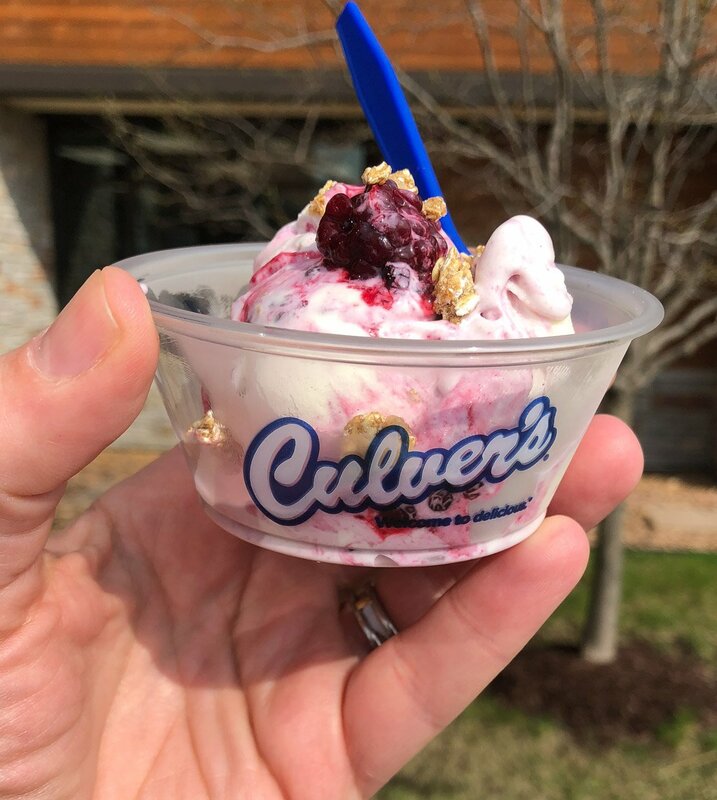 For the first time since 2012, Culver’s is releasing new flavors of their deliciously creamy frozen custard. There are six new flavors starting 5/10/18, and we’ve tasted them all. Read on to learn which were our favorites, and when you can enjoy them for yourself. 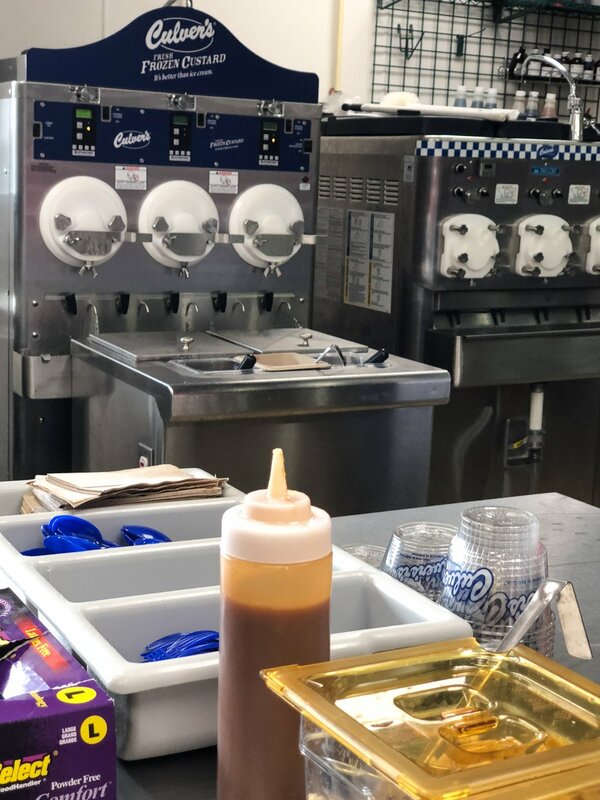 We were treated to an exclusive behind the scenes experience in Culver's Sauk City, WI test kitchen, where expert chefs have been painstakingly perfecting six delicious new flavors of frozen custard. 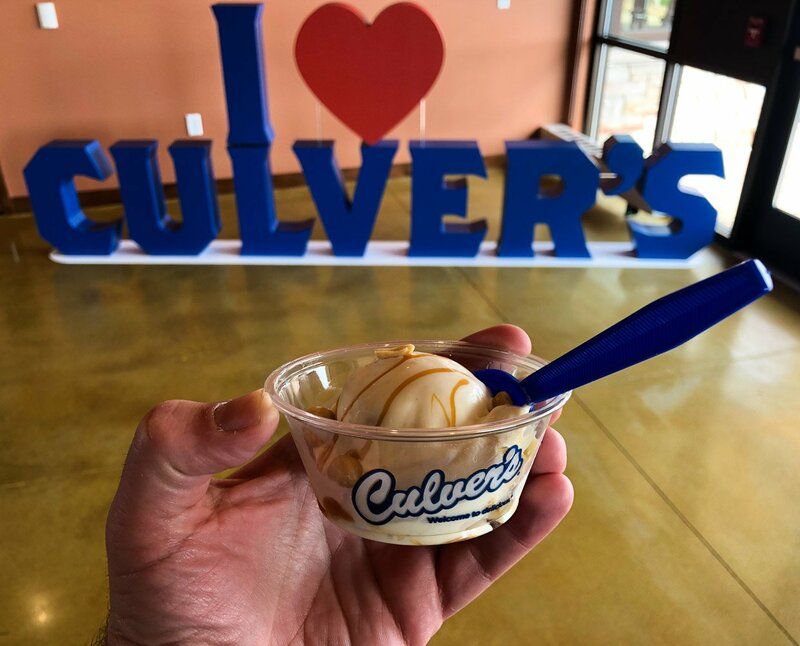 For those unfamiliar with the deliciousness that is Culver's frozen custard, this sweet dairy treat has a higher fat content than traditional ice cream and is made with real egg yolks, making it even richer and more delicious. 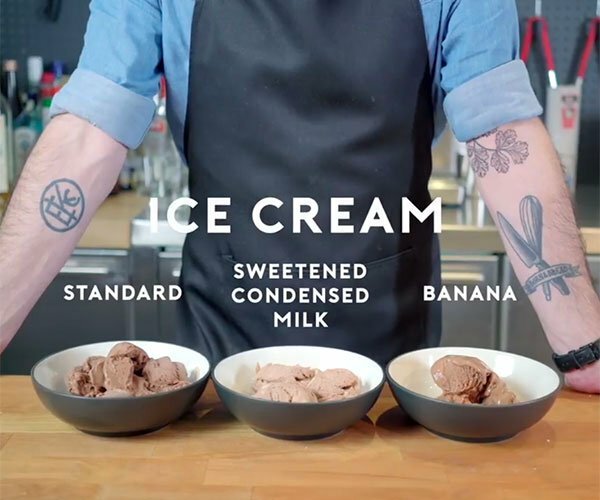 Frozen custard is also served 15 degrees warmer than ice cream, making it smoother, easier to eat, and less likely to freeze your taste buds! First up, we tasted the new Cappuccino Cookie Crumble, which combines the flavors of cold brew espresso, along with crispy cookie pieces, and a ribbon of candy shell chocolate. 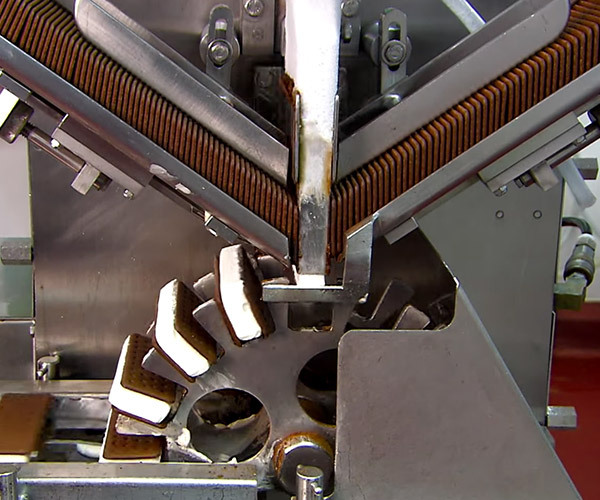 The resulting flavor combination will tickle the tastebuds of anyone who loves tiramisu, and the real coffee actually provides a bonus caffeine jolt. 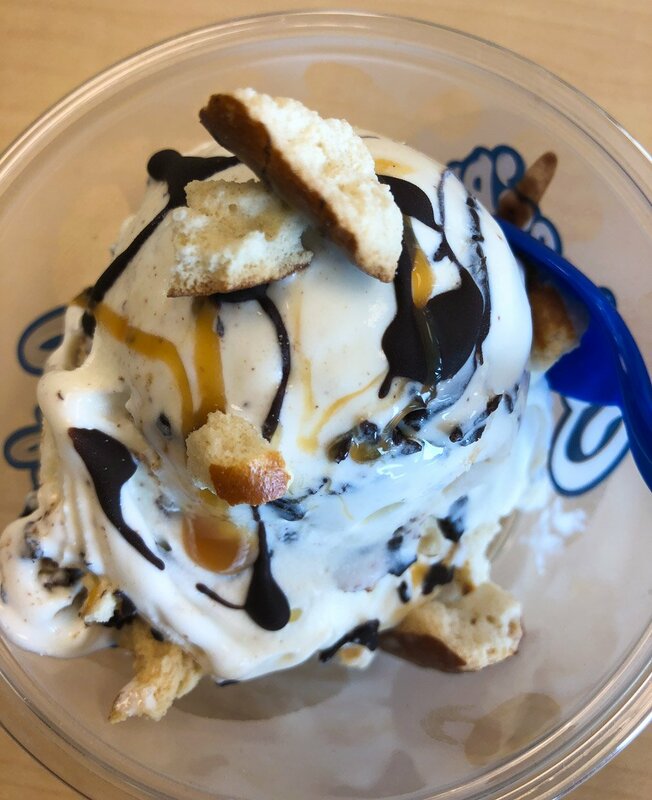 Cappuccino Cookie Crumble first arrives at Culver's stores on May 10, 2018. 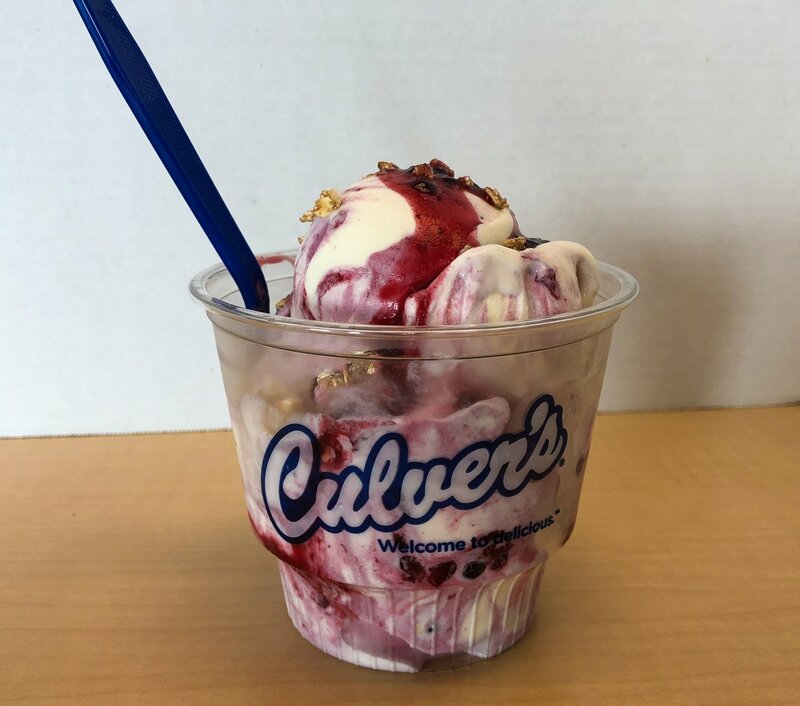 Next up, and due in Culver's restaurants on June 10, 2018 is Blackberry Cobbler frozen custard. This sublime creation combines real blackberries and sugar with crispy cinnamon granola, and a vanilla custard base. The result is a bright and summery treat that conjures images of a fresh-baked blackberry pie. In other words, it's fantastic, and comes out on top as our favorite new flavor. Combining a salted caramel swirl with hard-shell chocolate, vanilla custard, and yummy Bavarian pretzel bits, Chocolate Pretzel Crunch arrives on July 10, 2018. It offers up the perfect balance of sweet and salty, smooth and crunchy in every spoonful. Speaking of which, did you know that you get every ingredient in every bite when you have Culver's handmade custards? Two tasty treats meet for the first time in the new Peanut Butter Cookie Dough, which arrives on August 10, 2018. It rocks a deliciously creamy peanut butter custard base with bits of chocolate chip cookie dough, and peanuts for a little crunch. 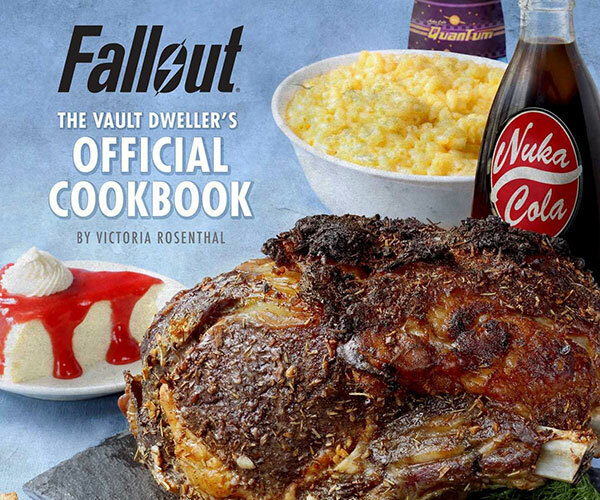 It tastes like a Butterfinger bar, and that's alright with us. 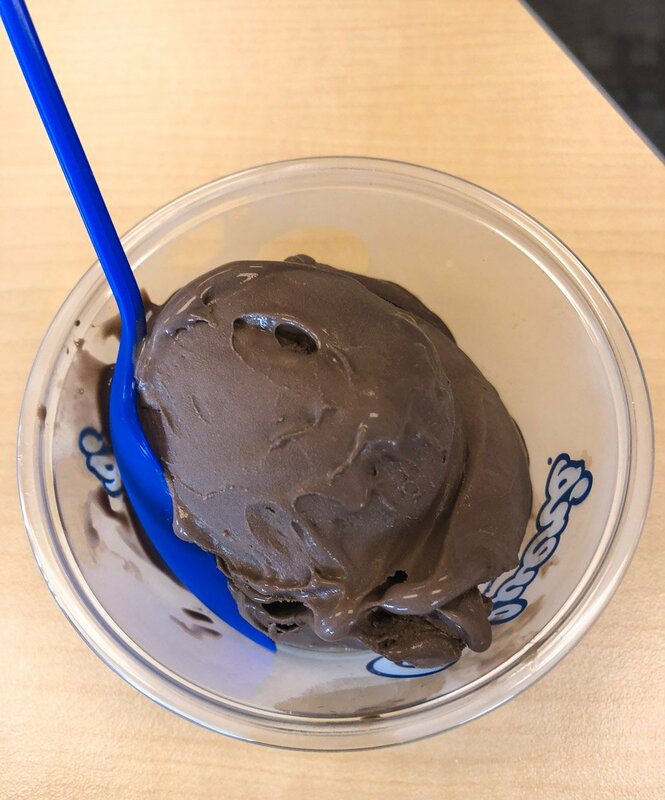 We cannot wait until September 10, 2018, when Culver's restaurants start serving up Dark Chocolate Decadence. For as simple as a dark chocolate custard sounds, it took chefs 18 months to get this one just right, blending four different types of cocoa into a seriously sumptuous and splendid dessert you'll be coming back for whenever it's on the menu. It's also our second favorite new flavor, right up there with the Blackberry Cobbler. 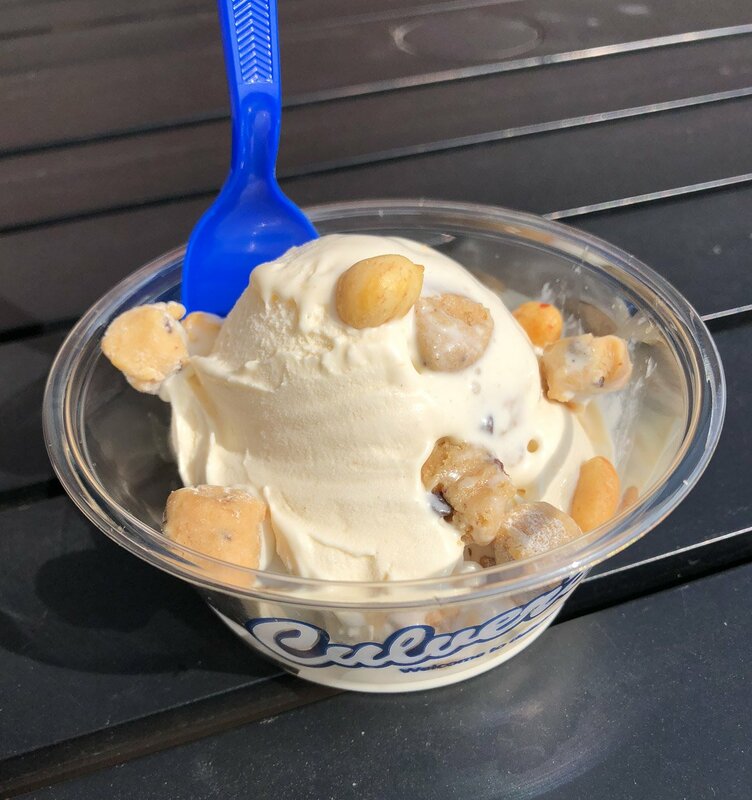 Last, but certainly not least is the October 10, 2018 release - Peanut Butter Salted Caramel, which combines yummy peanut butter custard, a salted caramel ribbon, and peanuts into a crunchy and almost savory dessert for peanut lovers everywhere. 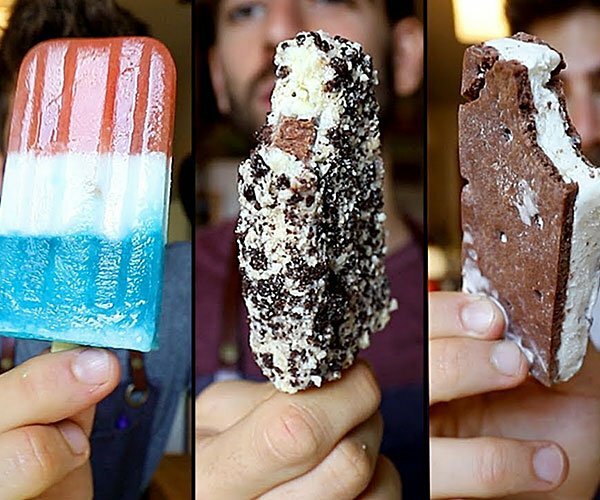 If you had a pet elephant, he'd eat all of this before you could even take a bite. 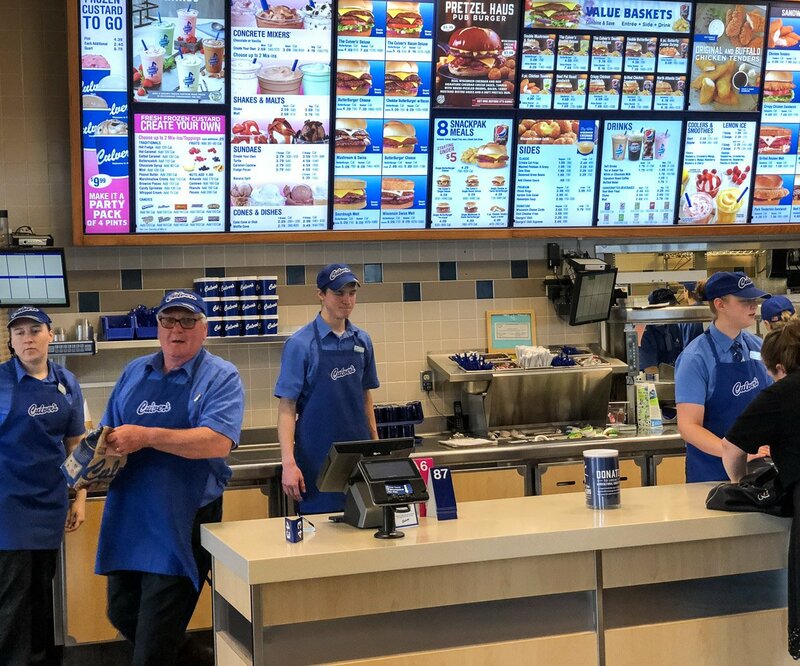 For the first time ever, every Culver's restaurant will feature each new Flavor of the Day on the same day. 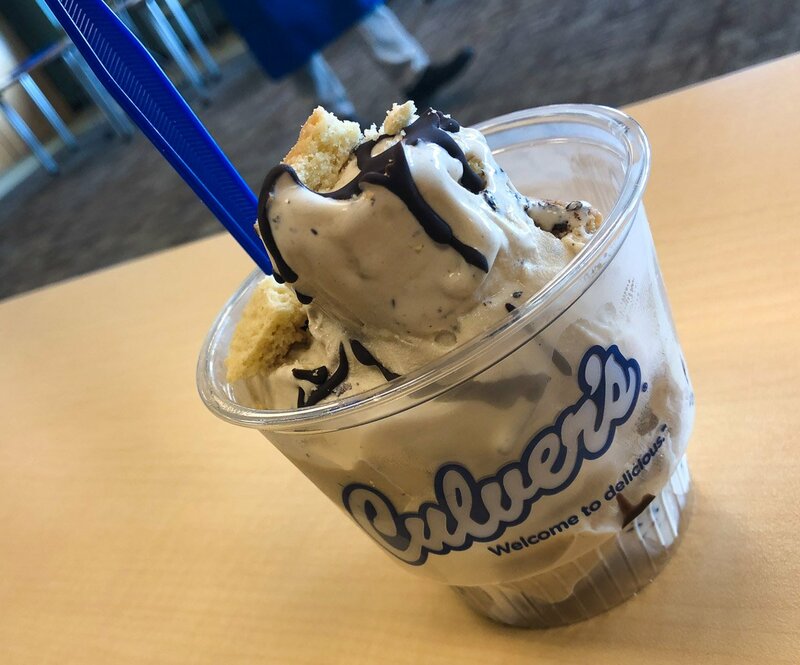 That means you'll want to stop by Culver's on the 10th of each month from May through October 2018 if you want to taste each of the six new flavors. Keep an eye on your local restaurant's Flavor of the Day listing to find out when they'll return, or to learn about the other 50 flavors they make. 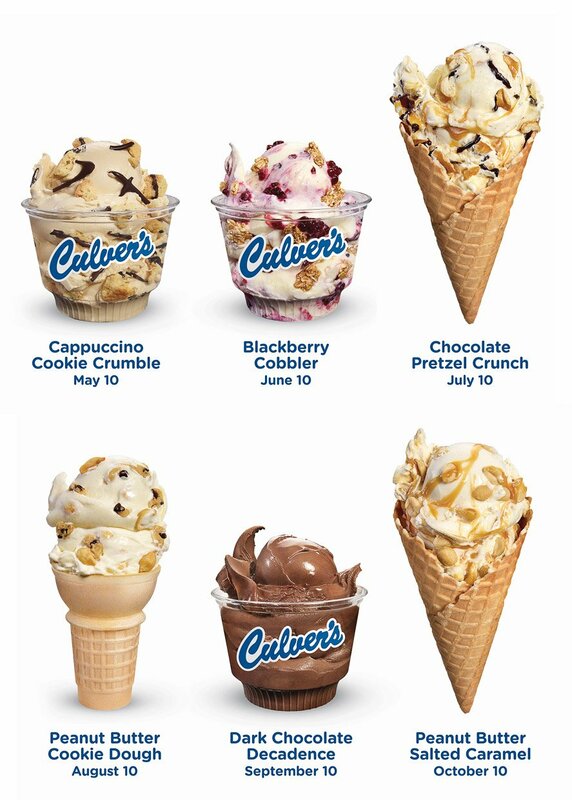 Culver's also put together an handy chart you can tack up on your wall to remind you which flavor is coming out when. We are so going to be first in line on June 10th and September 10th so we can get more of our favorites!